We're running low on CI build minutes, actually, I spent the 60 minutes in 1 day. 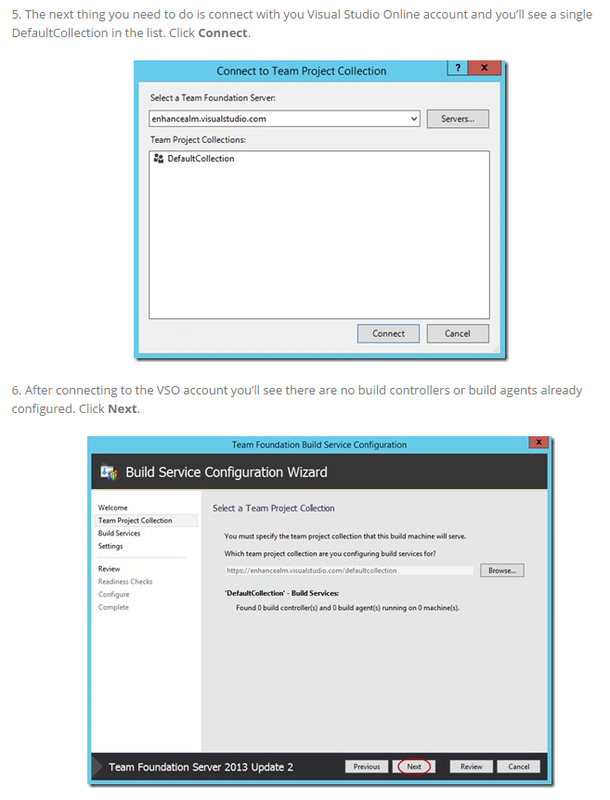 So I'm setting up a build controller on an on-prem VM. 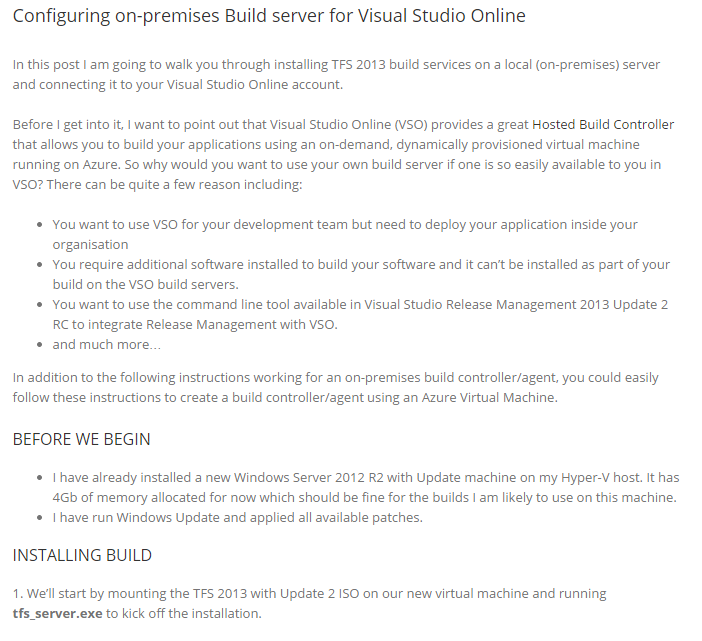 Turns out it's a breeze to hook the build controller up to the Visual Studio Online account. Check out this post by Anthony Borton on how it's done.